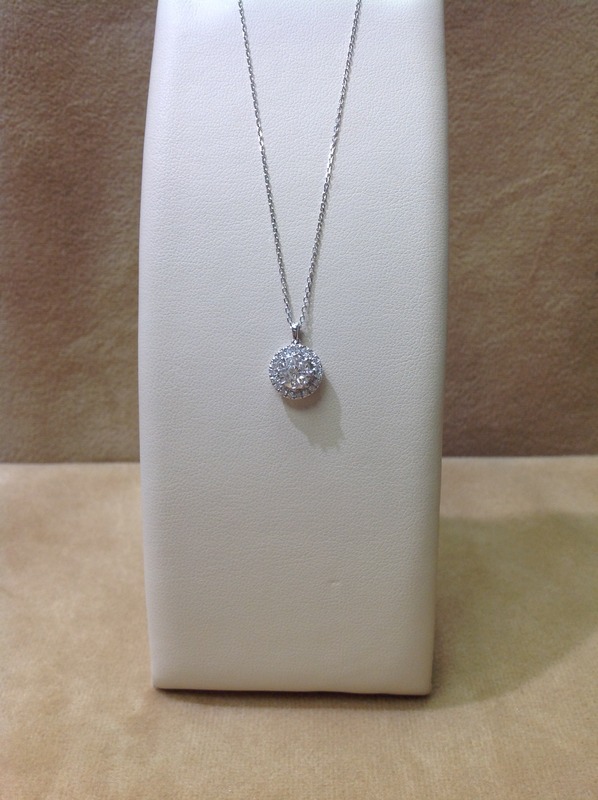 14KW pendant with 0.50 ct. TW of diamonds bead set in this round design. Center is a 9 diamond cluster. 18" cable chain with lobster claw clasp has a shortening ring at 17".